2018 Events. We will be in a city near you. Commercial Drones are being transformed into powerful weapons to create Aerial, Cyber and IP-theft threats to US Corporations, Universities and Government entities. We would like to invite you to join our live webinar. We’ll cover the following topics during the 30-min presentation. The National Association of Police is a coalition of police unions and associations from across the United States. It was organized for the purpose of advancing the interests of America's law enforcement officers through legislative advocacy, political action, and education. ASIS International/GSX is the leading organization for security professionals worldwide. Founded in 1955, ASIS is dedicated to increasing the effectiveness and productivity of security professionals by developing educational programs and materials that address broad security interests, such as the Global Security Exchange, as well as specific security topics. Stop by for a 1 on 1 demo at Booth Number # 1485. American correctional association conference is the the most attended corrections events in the industry. ACA's conventions provide attendees and exhibitors with an opportunity to personally interact with thousands of corrections professionals. At each conference, there are hundreds of workshops, meetings and events, that allow attendees to educate themselves and network. ISC West is an event where you view cutting-edge products that will secure organizations and homes from both physical attacks AND data/IT breaches. Join security professionals from both sides of the aisle as they discuss 360º protection from both physical, cyber and areal threats. The main objective of the Summit is to address critical safety and security challenges facing marathons and running events and, through a formal process, develop the 5th edition of Marathon and Running Events Safety and Security Best Practices. The Summit will address critical safety and security issues facing those responsible for intercollegiate athletic safety and security. Every university program presents unique safety and security challenges in implementing best operatory practices. 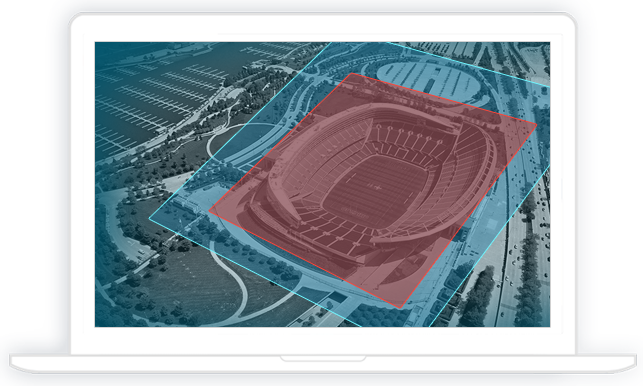 Detect, track and mitigate all drone threats to your stadium. Secure your stadium airspace against all drone threats. Traditional security measures like metal detectors don’t protect against drones. It only takes a minute for someone to fly in a weapon using a drone, or to attach explosives to a drone and get close to the crowd. Stadium operators and sports teams can take proactive measures by installing drone detection and mitigation systems to ensure the safety of players and audiences, while also preventing drones from capturing high quality footage that can breach broadcast contracts or copyrights. The University of Oklahoma have already recognized the threat that drones pose by installing drone detection system.